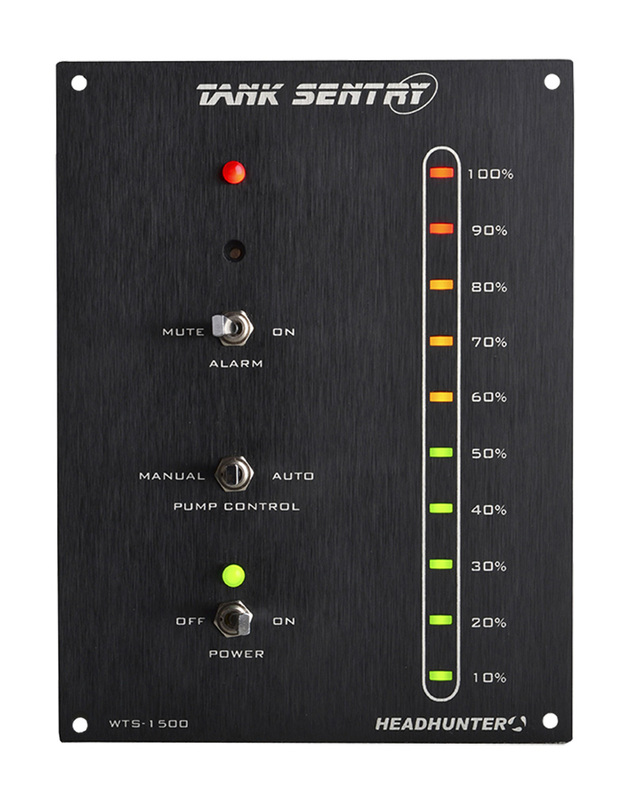 Tank Sentry Fluid Level Monitoring System| Headhunter Inc.
Our programmable fluid level monitors provide reliable and accurate Tank level indication. There are no moving parts to foul, or electrical components inside the tank. Unaffected by floating solids or stray current, Tank Sentry is the ideal solution for the toughest of fluid level monitoring assignments. 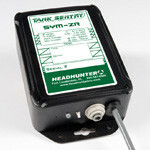 All Tank Sentrys fluid level sensors operate on 12 to 32 volt DC power. With a few simple adjustments they are capable of monitoring tanks from 6 inches to 6 feet deep, right out of the box. All models have 10% incremental LED displays. 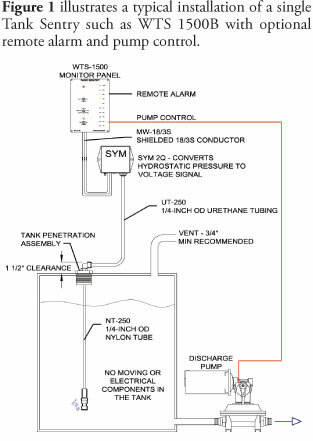 All units include a monitor panel, 30 feet per tank of shielded 18/3 wire, 1 SYM-2Q sensor module per tank, 10 feet of urethane tubing per tank, 1 TPA-1250 1-1/4” tank penetration assembly per tank, and 3 heat shrink wire connectors. 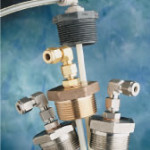 Installation accessories such as extra wire, mounting flanges, and pump relays are sold separately. Ideal for holding and grey water tanks. 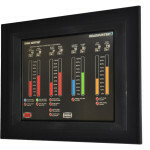 Set the level to initiate and terminate the pumpout with simple to operate slide switches. 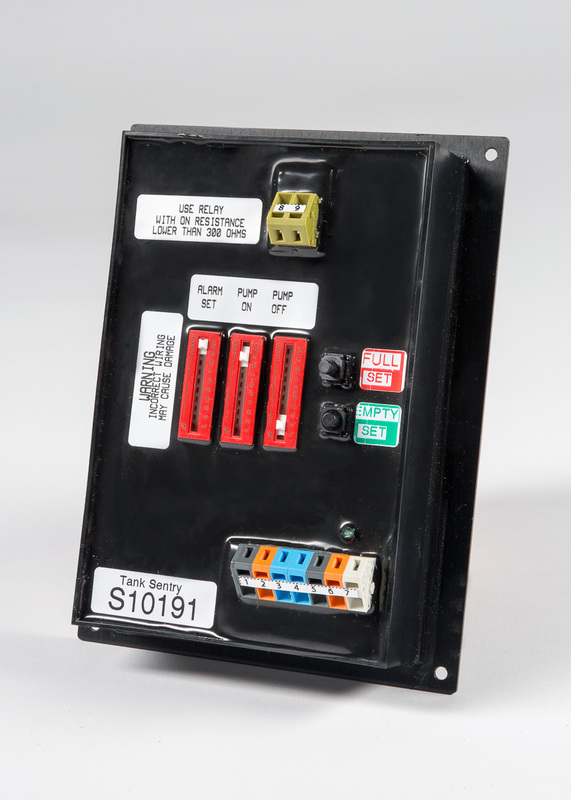 Pump controller operates D.C. relays for switching AC or DC pumps (order relays separately). Also features high level audible and visible alarm. 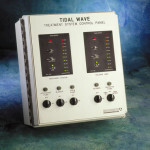 This model engages relay at low level, and disengages at high level to provide a programmable “pump up” control, and low level alarms. Used to fill day tank from main tank. 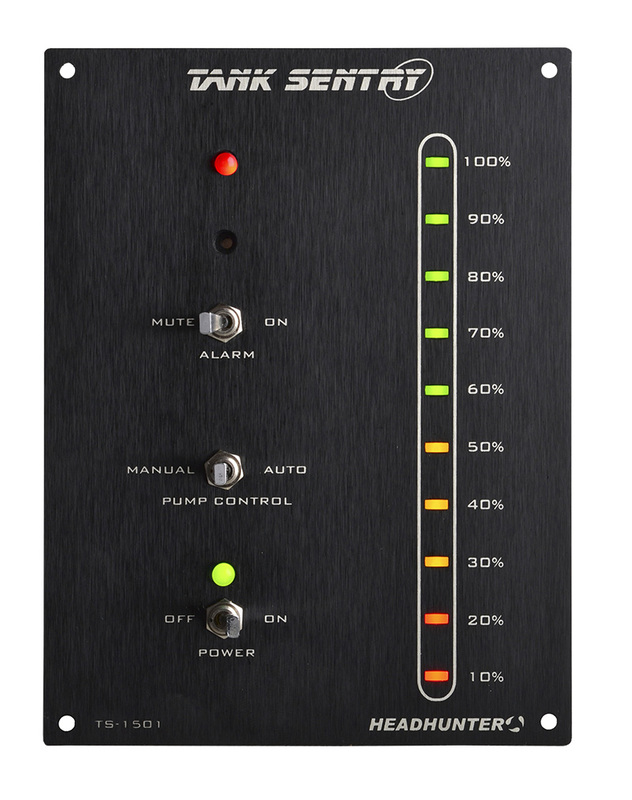 Features both high and low level audible and visual alarms with remote alarm capability. Ideal for diesel tanks where fill without spill is desired. Designed for precise monitoring of tanks where high level visual and audible alarms are required. Ideal for holding tanks. Features dry closure for remote alarm or “do not flush” lights. Designed for precise monitoring of tanks where low level visible and audible alarms are required. Ideal for diesel or water tanks. Features dry closure for remote alarm or dry tank shutdown of freshwater pump. 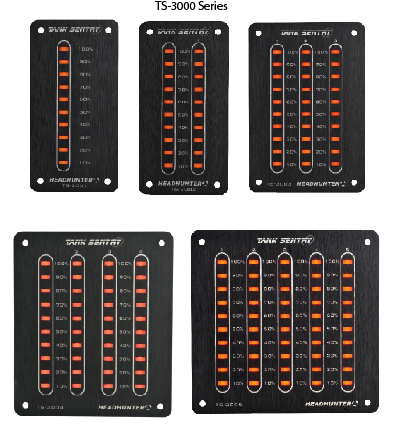 Developed to monitor multiple tanks on a single compact panel, the 3000 series provides tank level indication for up to five tanks. 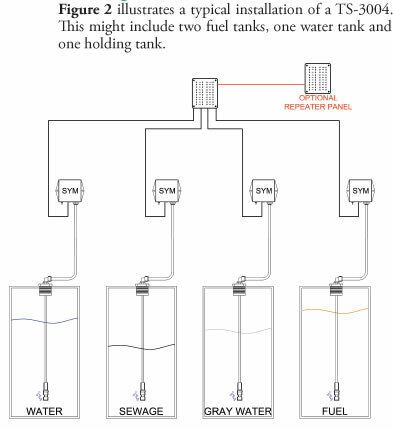 These tanks can contain different fluids. Use the 3000 series in conjunction with other Tank Sentrys as repeaters that provide tank information in different locations. 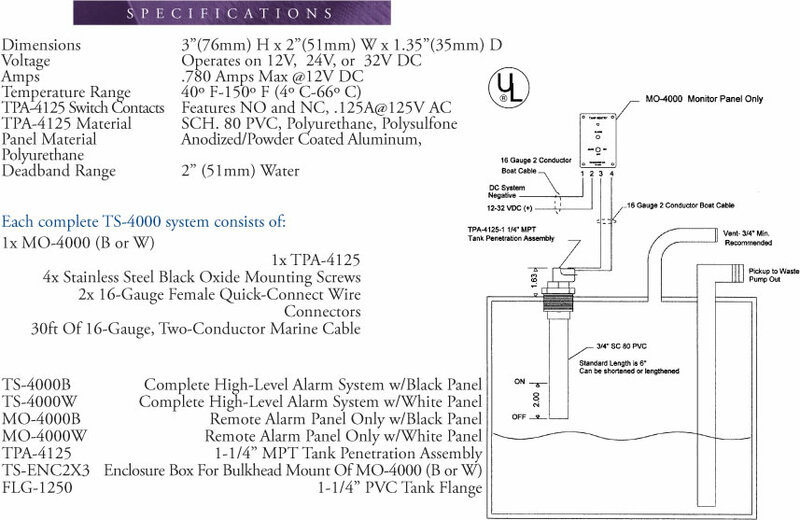 The last number of the part number designates the number of tanks on the system. Headhunters own skilled technicians test each Tank Sentry system as many as seven different times during their assembly including a 6 hour “burn in” and an 8 hour computer monitored cycle test. All Headhunter electronic products are then protected from the harsh marine environment by our unique UL listed epoxy encapsulation process. 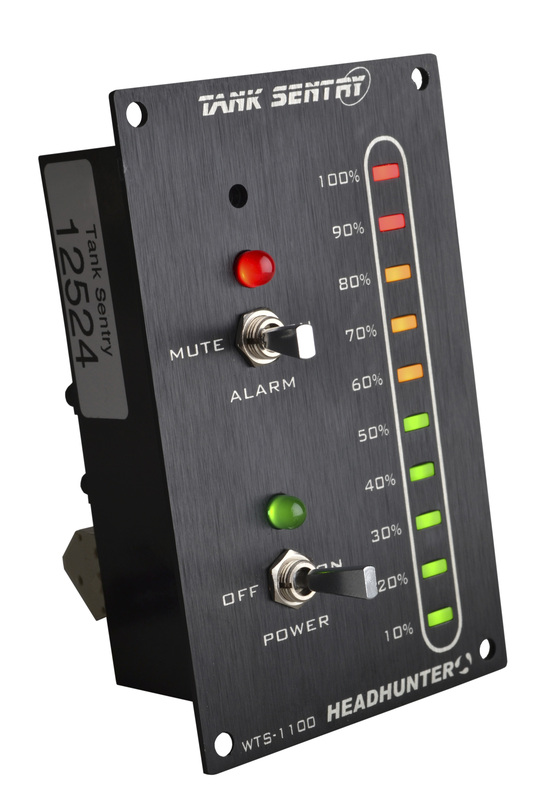 The TS-4000 also features a unique On-Off-Mute toggle switch with a built-in bi-color LED indicator. When the switch is in its central, “off” position, the LED is unlit. 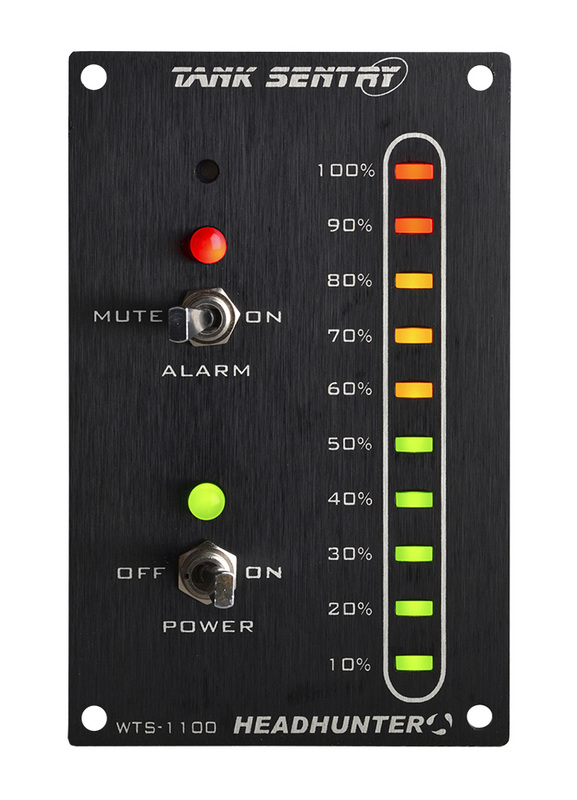 When the system is switched “on”, the LED is green, and when the system is on but the audible alarm is muted (“mute”), the LED is yellow . 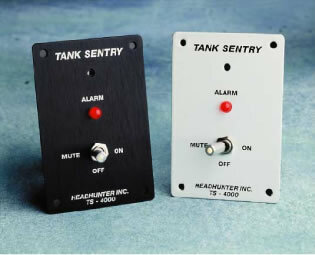 The monitor panel (MO-4000) can be purchased separately and used as a remote alarm for high or low level indication, in conjunction with one of our existing line of Tank Sentry products. For example, Tank Sentry model WTS-1100B could be used to monitor a holding tank, and the MO-4000 (B or W) could be installed in a location where continuous monitoring of the holding tank is not required, but high level notification is desired.